HP carries a complete printer product line. This includes color & black white; single function & multi-function, networked & standalone, and ink & laser printer products. Most of the printers are plug-n-play and require limited installation support. But occasionally the installation does not work because of issues with device drivers or operating system firewall or some other software or hardware problem. Even printers that have been installed successfully, sometimes stop working because of device driver corruption. Our experts can help install and configure all HP printer products. HP printers, while reliable, can sometime run into problem and not print documents. This can because of hardware or software issues. Software problems may have to do with device driver corruption; or printer spooler errors; or fonts and page description languages such as Adobe Post Script not working. 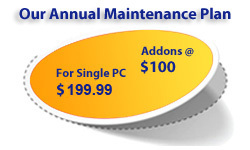 We can fix most software problems you face with your printer. We will make sure your device drivers are up-to-date, the printer spooler is operational, and check and fix other underlying components. You can count on our certified technicians to fix printer problems until you are completely satisfied. Printers are closed hardware devices and as such are not vulnerable to performance degradation. Hence if it is taking longer for you to print, scan, or fax a document it may point to some other problem. Perhaps the device driver you have installed or Windows has automatically updated is malfunctioning. Or a malware has infected your Windows OS and slowing down your application from which you are printing. Or there could be other more serious problem. You need a qualified company like GuruAid to find the root cause and optimize your HP printer and computer performance. HP Printers like all printers are plug-n-play. Once installed, the printer icon automatically appears in the applications and printing is relatively straightforward. The two exceptions are all-in-one printers & networked wireless or wired printers. Scanning or faxing a document using an All-In-One printer, even with the tools provided by HP or Microsoft is sometimes hard and erratic. And setting up networked printer so that it can be shared by other users in your home and office also requires technical skills. You need someone like GuruAid to help you with these and other printing chores. HP SlateBook 14 review: Android? On a laptop?